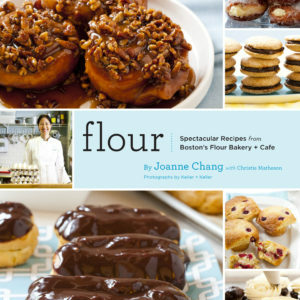 Joanne's third book featuring incredible recipes using natural sweeteners. 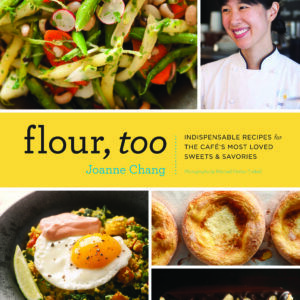 Trust Joanne Chang—beloved author of the bestselling Flour and a Harvard math major to boot—to come up with this winning formula: Minus the sugar equals plus the flavor. The 60-plus recipes here are an eye-opener for anyone who loves to bake and wants to cut back on the sugar. Joanne warmly shares her secrets for playing up delicious ingredients and using natural sweeteners, such as honey, maple syrup, and fruit juice. In addition to entirely new go-to recipes, she’s also revisited classics from Flour and her lines-out-the-door bakeries to use minimal refined sugar. More than 35 mouthwatering photographs beautifully illustrate these revolutionary recipes, making this a must-have book for bakers of all skill levels.